3D printing is taking over the world, one new material at a time. 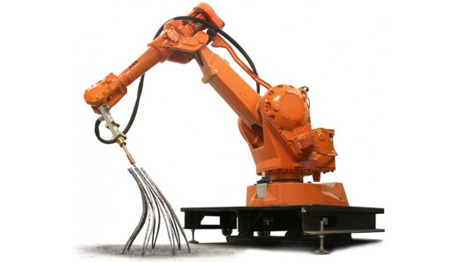 First it was plastic, then ceramics and even food, and now a freestanding robot can print incredible self-supporting metal structures with a combination of 3D printing and welding. 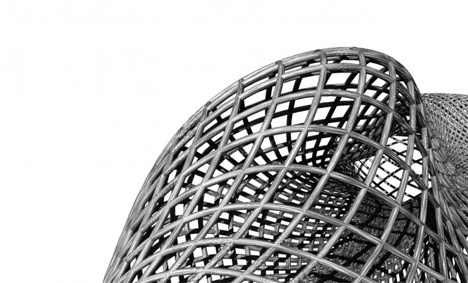 Amsterdam-based Joris Laarman Lab invented the MX3D in collaboration with Acotech and Autodesk, and it might be the most impressive examples of 3D printing yet. The MX3D looks a lot like an automobile assembly-line robot. It works by printing very small pieces of molten metal one piece at a time, slowly building up lines of metal that can stand up on their own in mid-air. The machine can print with aluminum, copper, steel, stainless steel, and bronze, allowing for a variety of effects. What the machine does looks more like art than building. 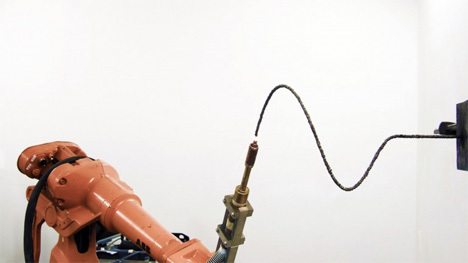 The robotic movements, welding, and materials placement all have to be carefully coordinated to make the lines which can curl, spiral, or even extend straight out from a wall. Could this humble robot be the future of art, manufacturing, and even construction? We would love to see entire buildings being constructed from the ground up by a graceful one-armed robot. Failing that, though, the art that the MX3D creates is fascinating and weirdly beautiful. We’d settle for seeing a lot more of that.